Nickelodeon star Victoria Justice is all smiles backstage at the 2014 MTV Movie Awards in Los Angeles. Jared Leto rocks his legendary locks and cool shades backstage at the 2014 MTV Movie Awards in Los Angeles. 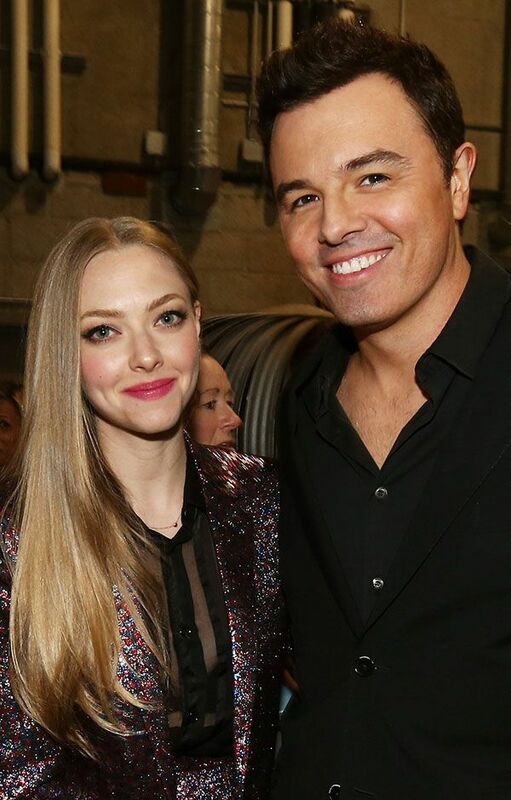 Co-presenters Amanda Seyfried and Seth MacFarlane cheesin' it for the cameras at the 2014 MTV Movie Awards in Los Angeles. Cute couple Channing Tatum and Jenna Dewan-Tatum cuddle up for a backstage candid at the 2014 MTV Movie Awards in Los Angeles. 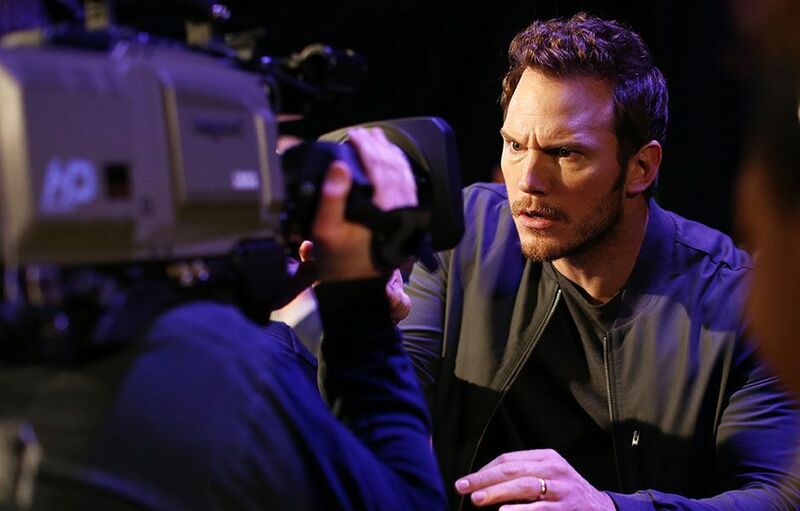 Chris Pratt stares down the cameras at the 2014 MTV Movie Awards in Los Angeles. Presenters Johnny Knoxville, Jessica Alba and Seth Macfarlane pose backstage at the 2014 MTV Movie Awards in Los Angeles. Zac Efron finally gets his shirt back on for a picture with Judd Apatow backstage at the 2014 MTV Movie Awards in Los Angeles. Leslie Mann and daughter Iris Apatow share a warm hug with Jonah Hill backstage at the 2014 MTV Movie Awards in Los Angeles. Nicki Minaj high-fives her Barbs backstage at the 2014 MTV Movie Awards in Los Angeles. Amanda Seyfried backstage at the 2014 MTV Movie Awards in Los Angeles. Ellen Page shows off her cool swagger backstage at the 2014 MTV Movie Awards in Los Angeles. Kat Graham flashes a smile backstage at the 2014 MTV Movie Awards in Los Angeles. 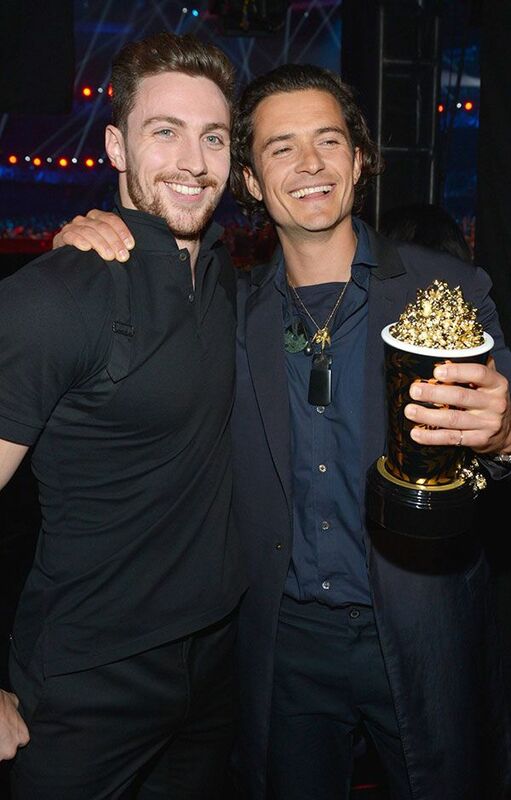 Aaron Taylor Johnson and Orlando Bloom photographed backstage at the 2014 MTV Movie Awards in Los Angeles. Adrian Grenier makes Zac Efron smile backstage at the 2014 MTV Movie Awards in Los Angeles. 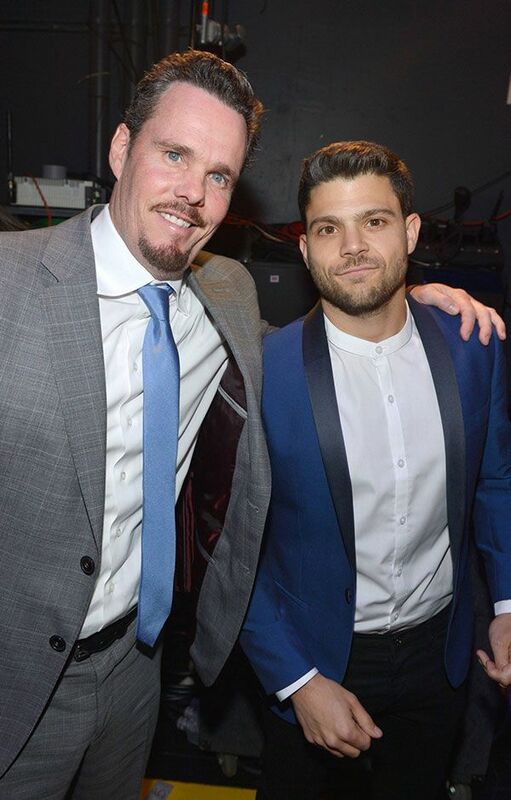 Kevin Dillon and Jerry Ferrara photographed backstage at the 2014 MTV Movie Awards in Los Angeles. 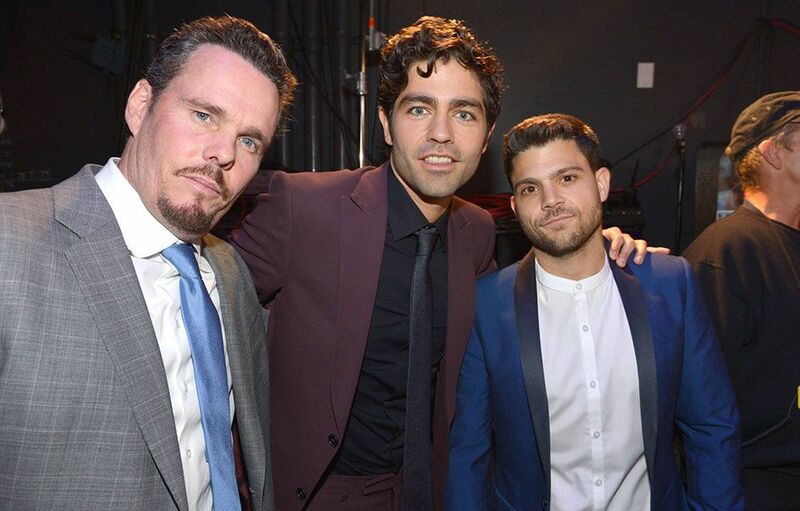 The cast of 'Entourage' including Kevin Dillon, Adrian Grenier and Jerry Ferrara backstage at the 2014 MTV Movie Awards in Los Angeles. Kevin Dillon and Seth Rogen photographed backstage at the 2014 MTV Movie Awards in Los Angeles. The ladies of 'The Other Woman' including Leslie Mann, Kate Upton, Cameron Diaz and Nicki Minaj backstage at the 2014 MTV Movie Awards in Los Angeles. Seth Rogen, Dave Franco and Zac Efron photographed backstage at the 2014 MTV Movie Awards in Los Angeles. 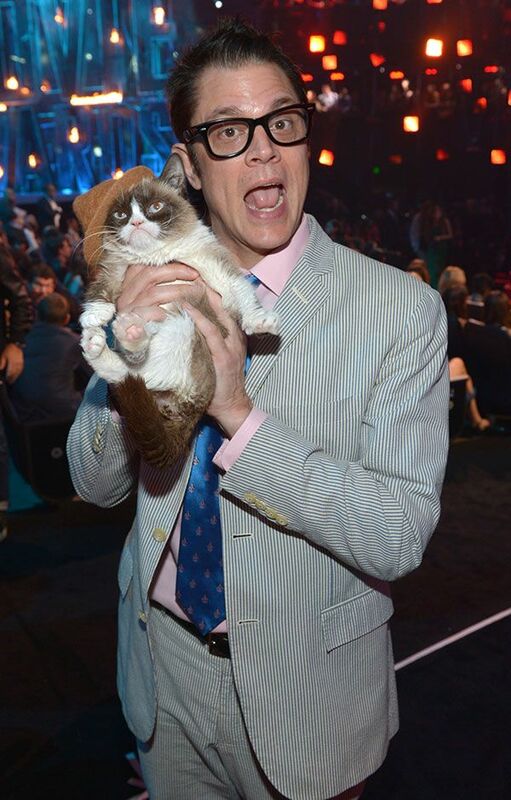 Grumpy Cat's not amused by Johnny Knoxville backstage at the 2014 MTV Movie Awards in Los Angeles. The cast of 'The Other Woman' including Leslie Mann, Kate Upton, Cameron Diaz and Nicki Minaj prepare to hit the stage at the 2014 MTV Movie Awards in Los Angeles. 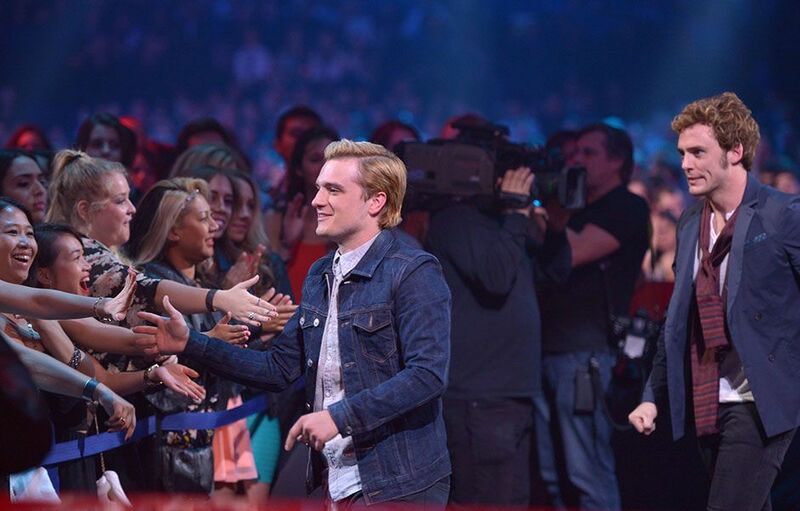 Josh Hutcherson and Sam Claflin of 'The Hunger Games: Catching Fire' greet fans at the 2014 MTV Movie Awards in Los Angeles. 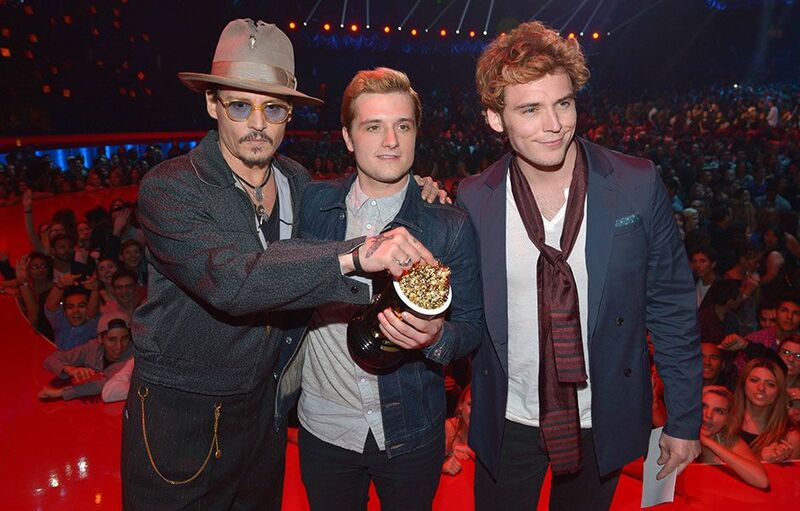 Josh Hutcherson and Sam Claflin backstage with Johnny Depp who craves a piece of golden popcorn at the 2014 MTV Movie Awards in Los Angeles. Jessica Alba and Rita Ora point out Best Shirtless Performance winner Zac Efron's, ahem, assets backstage at the 2014 MTV Movie Awards in Los Angeles. Jessica Alba and Rita Ora photographed backstage at the 2014 MTV Movie Awards in Los Angeles. A Coachella-ready Jared Leto poses with fans in the pit at the 2014 MTV Movie Awards in Los Angeles. 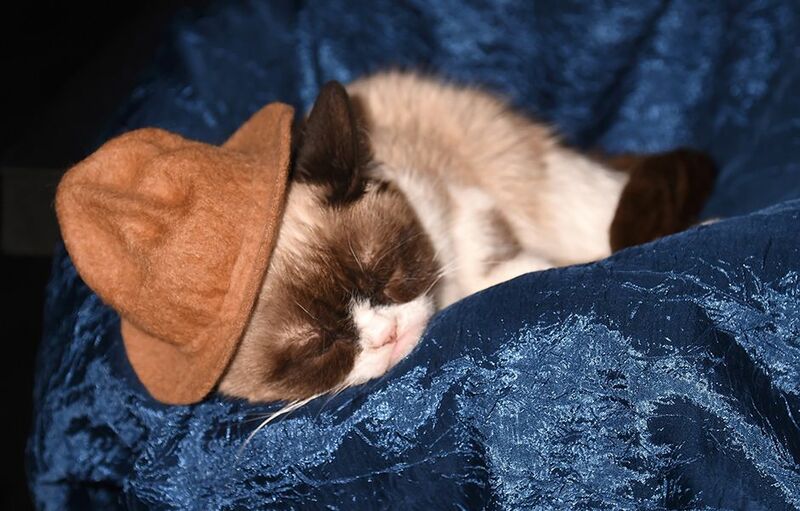 Grumpy Cat catches a few Z's mid-show at the 2014 MTV Movie Awards in Los Angeles. Comedian Seth MacFarlane cracks up Jessica Alba and Johnny Knoxville backstage at the 2014 MTV Movie Awards in Los Angeles. Lupita Nyong'o flaunts her stylish outfit backstage at the 2014 MTV Movie Awards in Los Angeles. 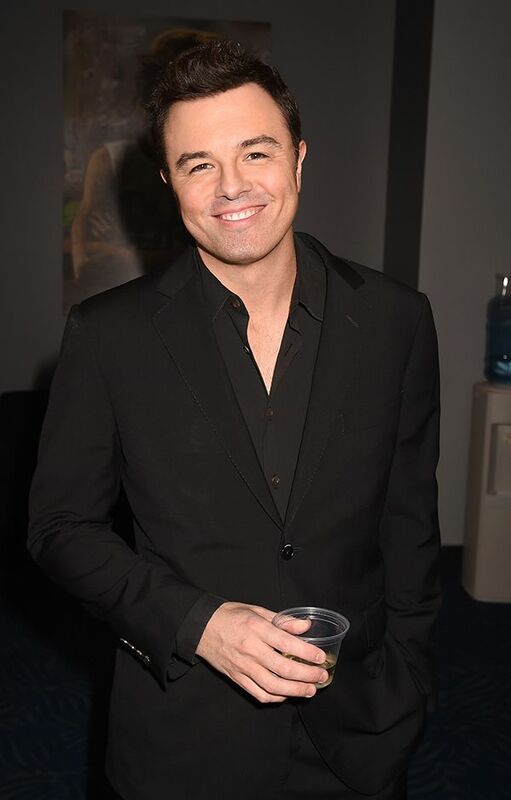 Seth MacFarlane smiles backstage at the 2014 MTV Movie Awards in Los Angeles. Swoon. Best Shirtless Performance winner Zac Efron backstage at the 2014 MTV Movie Awards in Los Angeles.